Che Kurrien, the Editor of GQ India, has a clear vision. When he launched the magazine, he made sure it looked and read nice and different. 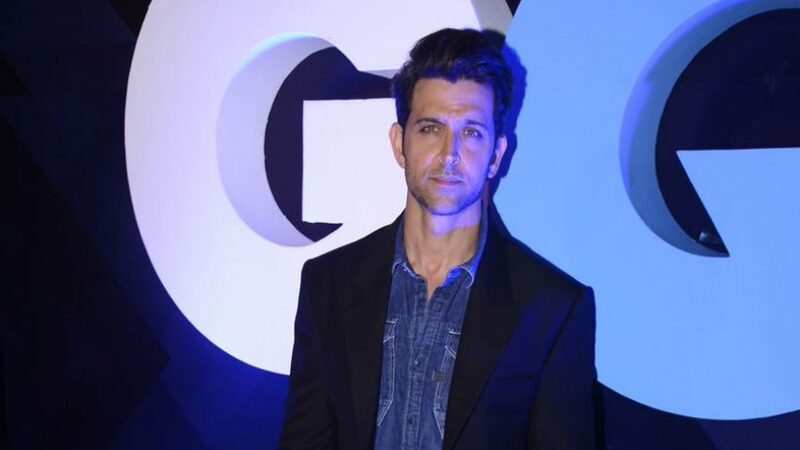 GQ Men of The Year Awards, where every Bolywood star worth his salt scurry to attend — award or no award, society ladies pose at the Red Carpet and men make sure they looked their nattiest best and post the same on Facebook and Instagram, not so much for how they looked, but to make sure the world knew they were at the GQ event. And GQ Fashion Nights, another success story that was launched last year just as hopes for having a well organized men’s fashion event was beginning to whither way. The curtains of its successful second edition were drawn on December 4, 2016. Way back Lakme Fashion Week devoted a day for menswear shows right in the middle of the event. That I thought was a good thing as every one got to see what our fashion designers were capable of doing for men. A few seasons later they for some reason discontinued it. Then the Fashion Design Council of India (FDCI) made a successful attempt to launch a men’s fashion week. It ran well for three years but came to a screeching halt a few years ago. Not sure any one tried to jumpstart it, but it never moved forward since then. Fact is, menswear market in India is fast growing and there are many talented fashion designers making menswear in this country. Agreed, it attracts much more capital investment as compared to womenswear, but takers for menswear – traditional or otherwise — are on the rise. After all, who wouldn’t want a well-tailored suit using best fabrics, a tunic or a bandhgala in their wardrobes? Price it well, and there will be enough customers making a beeline for the same in no time. Look at it this way. As compared to the ladies here who have plenty of options – traditional, indo-western and western – to choose from for their daily wear, men have just one thing – shirts and trousers… or perhaps jeans and a tees. In India, men wear western to work. Women wear salwar-kameezes, saris and westerns to their offices. Those men who are into formals would always want suits. Those who can afford it go for their Brionis, Zegnas, Canalis and Armanis. Those who want tailor-made ones without having to wait for longer periods opt for Indian designer labels. And those who can’t afford both of these go in for regular off-the-rack brands. Men seldom wear traditional outfits to work. That aside, pricing is an important thing to be kept in mind here. I have told some of my menswear designer colleagues that regardless of how nicely their creations are made, they ought to keep their prices considerably below that of their western counterparts. This is important as western labels have much more ‘flaunt’ability than that of the local ones. Most customers, even while they keep the quality and fit as the prime requirements while shopping, also keep the ‘label’ factor in their minds. Same the case when it comes to the place where it is manufactured. The ‘Made in Italy’ tag does matter for men’s suits. Keeping this in mind, I feel the pricing needs to be made carefully. If an Armani and a local label is priced the same way, I fear the hand of the customer may move towards the Armani and not the local designer even if both are made using the finest material. If you look at this from an industry point of view, this is good time even for the male models. All fashion weeks in India, whether it is Mumbai or Delhi or any of the non-descript ones that mushroomed around the country, they all concentrate on womenswear and male models more of less appear as ‘guests’ in some of those. Here, the runway belongs to them and they also have an opportunity to work and earn. India has talent. And the market for menswear is growing. I am glad GQ has picked up the thread from where it was left and is moving ahead on course with their menswear event. I do hope this will continue for some time and pave the way for an organized designer menswear industry in the country. Show stoppers: Time to stop their acts? You said yes. You mean no? Another fashion week? Shoot me! © 2018 VNA Initiatives, All Rights Reserved.